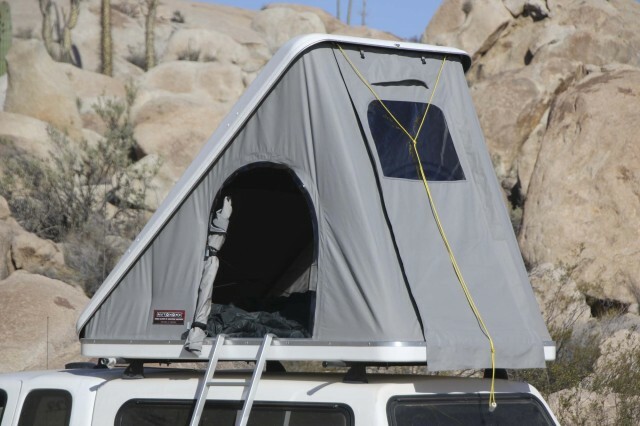 During the past 15 years I’ve had the opportunity to live in roof top tents (RTT) for an aggregate time of nearly a year. 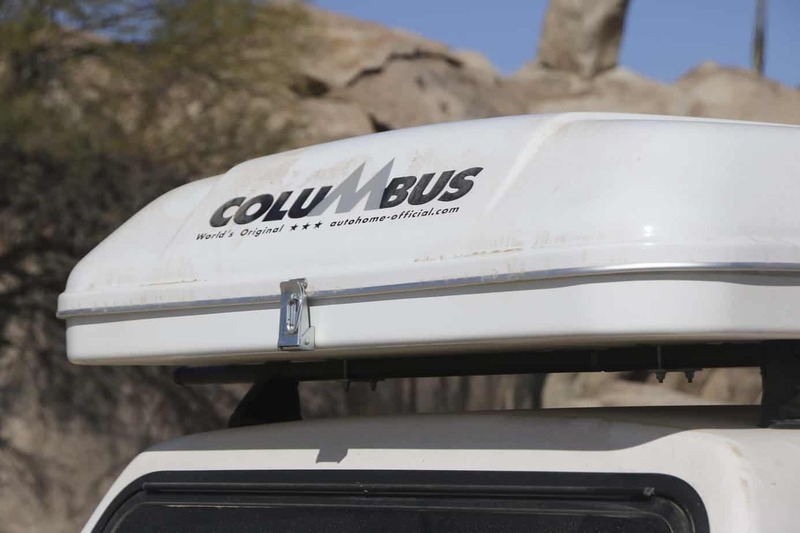 I spent two months in an ARB soft-sided RTT on one trek in Africa, a month in a Hannibal during another, and various extended sojourns in Australia and the Americas in Eezi-Awn, AutoHome, and James Baroud units. 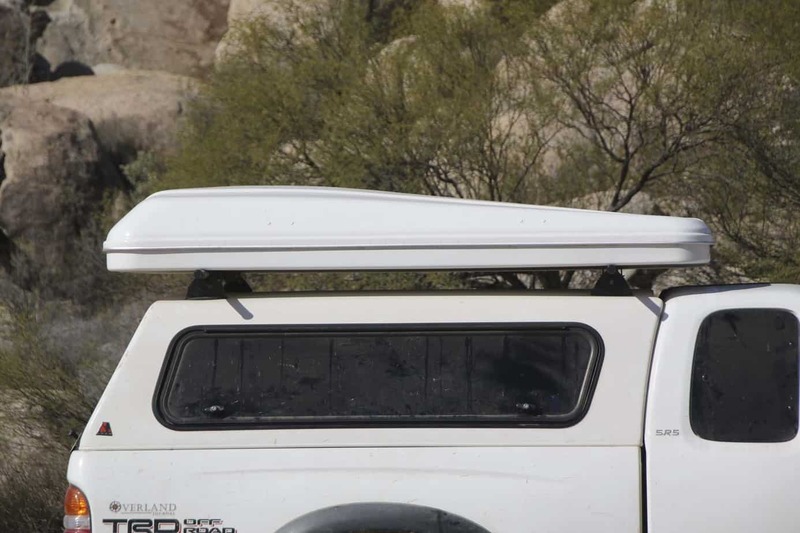 Although some overlanders will avoid the additional weight and raised center of gravity associated with RTTs at all costs, the benefits provided outweigh the negatives; at least in my opinion. I’ll touch on a few of the positive attributes of toting a home on your back. While bush camping in places like Africa, an RTT elevates you to a slightly higher rung on the food chain ladder—hyena, wild dog, and lion regularly meander through camp to check out interesting human smells. 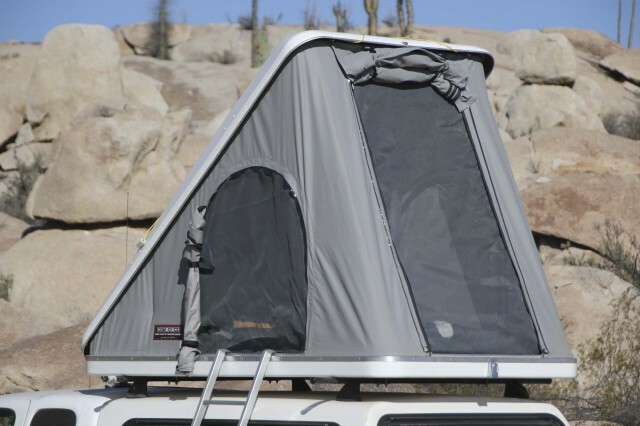 When monsoon rains turn your camp into a swamp or a creek runs through it, the RTT keeps you warm and dry. 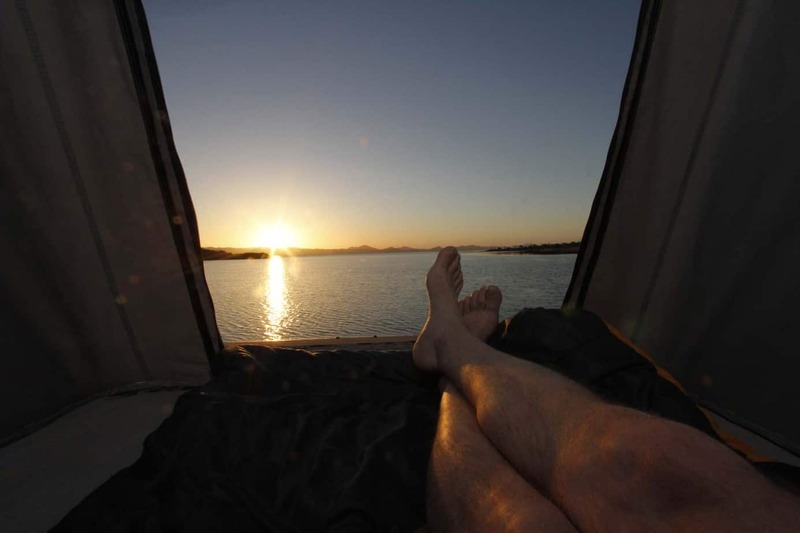 Those that feature 360-degree windows make great photography platforms (from your sleeping bag). And of course, the comfy, full-sized foam pad won’t garner any complaints at the end of a long day. 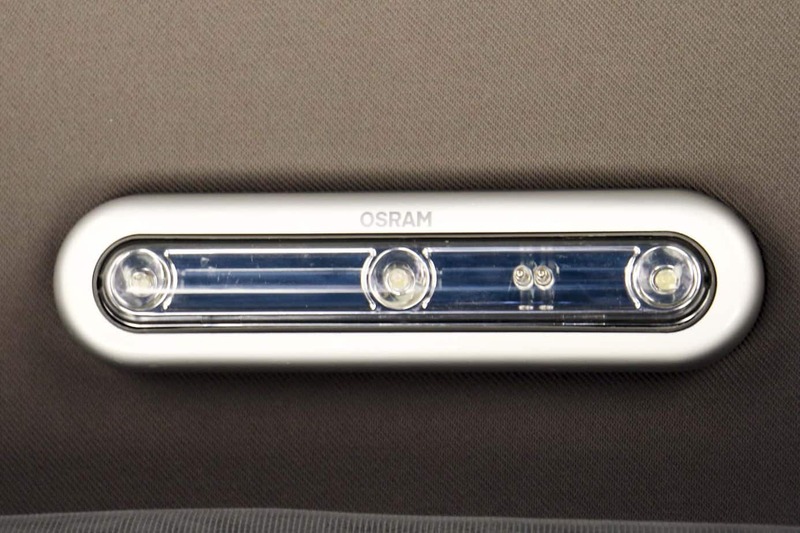 Interestingly enough, as much as I love the concept of an abode up top, I’ve never had one permanently mounted on my vehicle. 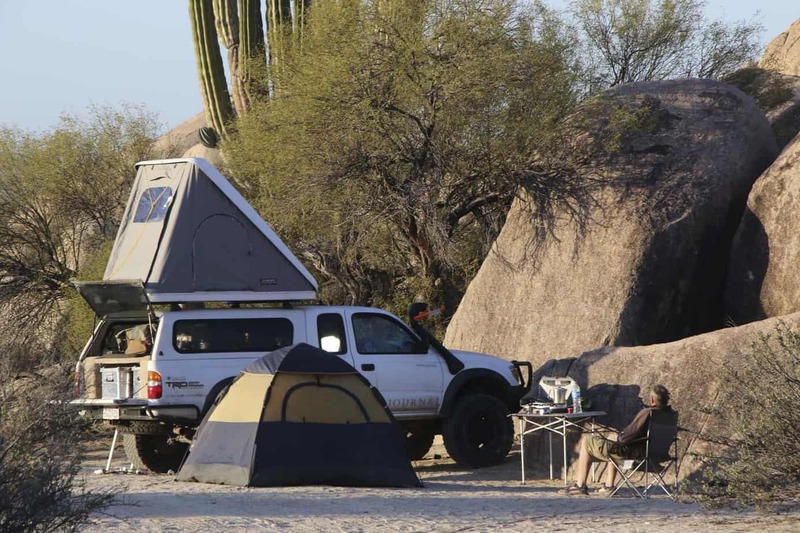 After Overland Journal Senior Editor Christophe Noel tested hard shell RTTs for the 2016 Gear Issue, I quickly put dibs on one for our long-term Tacoma project vehicle…and a 10-day trek to Baja, Mexico. I selected the AutoHome Columbus Variant for several reasons. Topping that list is its size, weight, and aerodynamic form. Tipping the scales at just 97 pounds, it is one of the lightest hard shell RTTs on the market. That said, it gives up little in the way of construction and amenities. 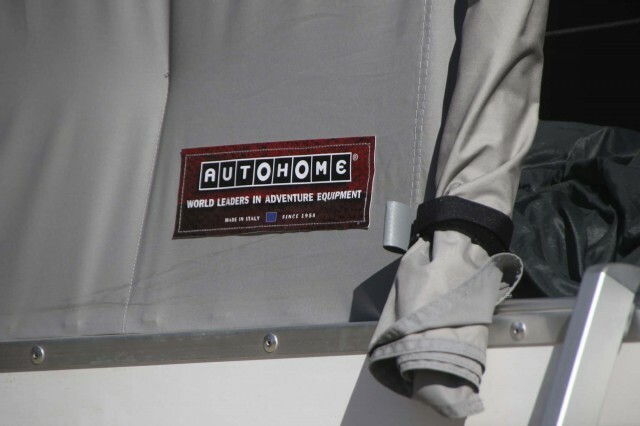 As we would expect from AutoHome, the build is solid, hardware and materials are first-rate, and attention to detail is evident in all quadrants. The clam-style shell is marine-grade fiberglass with a gelcoat finish and is watertight. 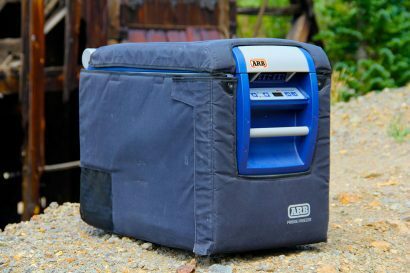 The canvas enclosure is crafted from Airtex synthetic canvas, and each of the three sides have zip-open doors with both solid and screen options. This leads me to the topic of ventilation, which is excellent. Inside are two pillows and a 3-inch closed-cell foam pad. 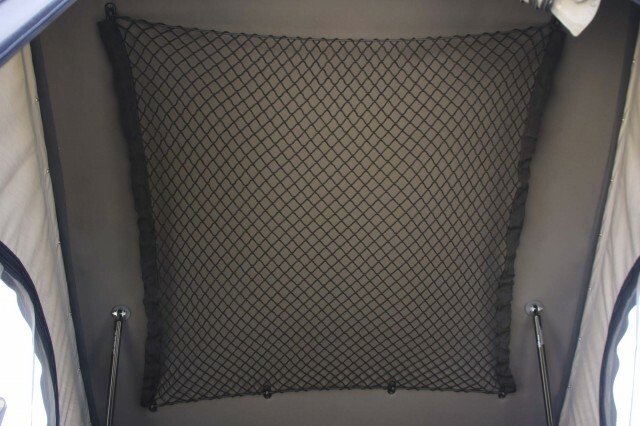 Other conveniences include interior storage pockets for small items, a ceiling-mounted cargo net (a great place to keep clothes while sleeping), and an LED light. In the field the Columbus Variant is by far the simplest “home” I’ve set up. 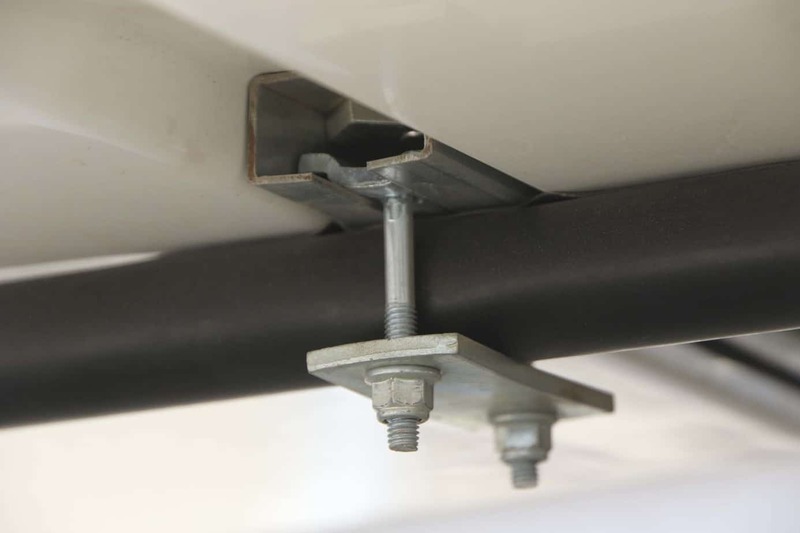 Simply open the single rear latch, push the top of the clamshell up a few inches, and voilà, a pair of gas struts pops it open. 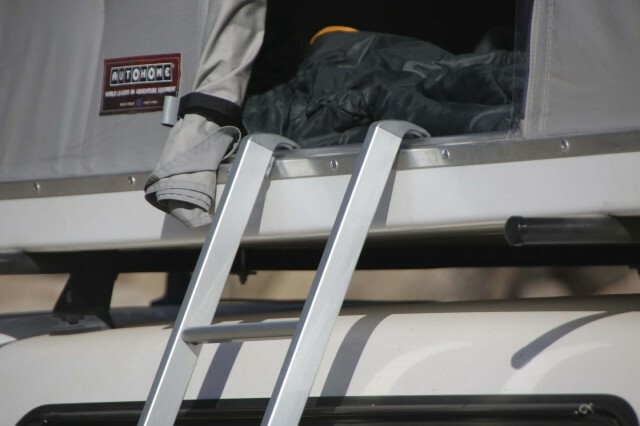 Hang the sturdy aluminum ladder (also stored inside) and you are ready for a restful night’s sleep. I felt the telescopic ladder was well thought out—just set the top hooks over a door threshold and the lower half deploys to the ground. The entire process will cost you about 60 seconds. Stowing it will set you back another two minutes. Admittedly, there are pros and cons to the clamshell design. A big advantage for me is its reduced windage over other tent configurations. 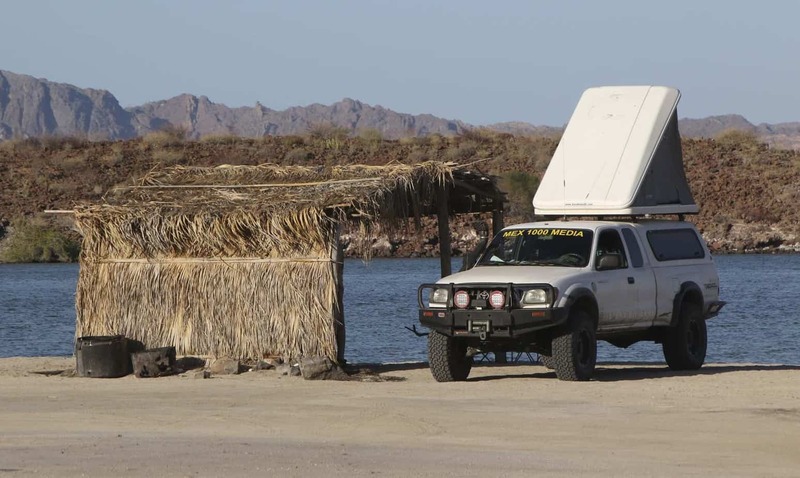 During my 10-day trek to Baja we met the chubasco in Bahia de los Angeles: tent-leveling katabatic winds that wreak havoc on anything in their path. I pointed the hinge end of the shell toward the prevailing wind and had no issue (noise was very reasonable as well). Another nice feature is the 50-plus inches of headroom on the tall end (59 inches to the peak), which provides enough space to kneel while changing clothes. 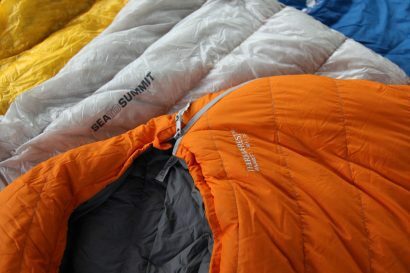 There is also enough room inside when closed to leave sleeping bags, pillows, and a few small items. Interior dimensions of this unit are 83 by 59 inches; it comfortably allows for my 6-foot frame and two people (but no bags). The last advantage is size. The Columbus Variant (small) fits perfectly on the Tacoma without protruding off the sides or the back. The clamshell configuration does leave you with a short end (the con), and you might bump your head or feet depending on which way you sleep. Generally, the main disadvantage I have found with hard shell tents is ventilation when traveling in hot, rainy environs. 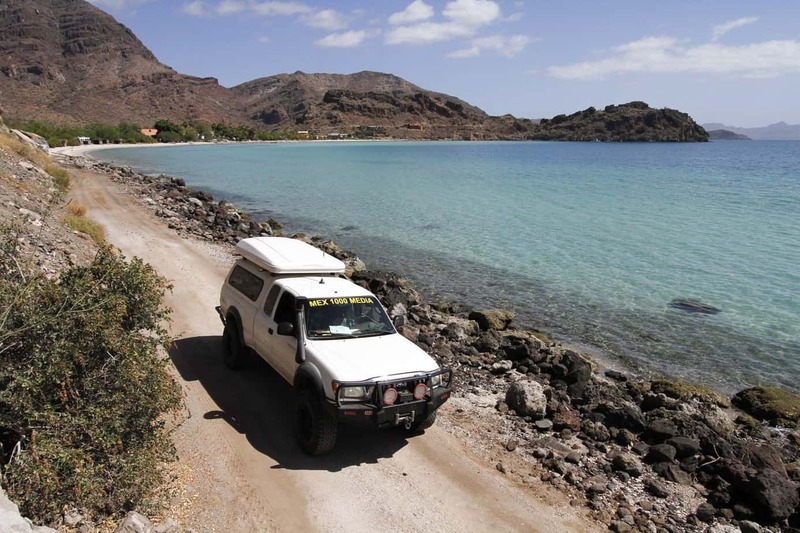 A few years ago used an AutoHome Maggiolina for a month-long trek in Central America. On several rainy nights it was too hot to use the solid door panels and opening them up meant the rain blew in. A Velcro-on rainfly might be a worthy addition. Overall, I’m glad I nabbed the Columbus Variant. 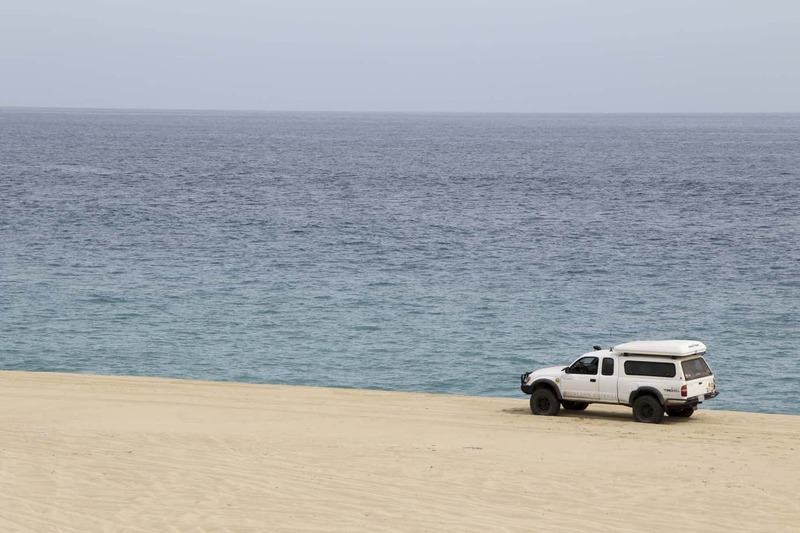 During my 3,000-plus-mile trip from Sacramento, California, to the southernmost tip of the Baja peninsula I hardly noticed it was there—until it was time to set camp, at which time I was a happy camper. Even after running powdery silt beds and , splashing through arroyos, and misty nights on the beach, the interior was still clean and dry. I love it. 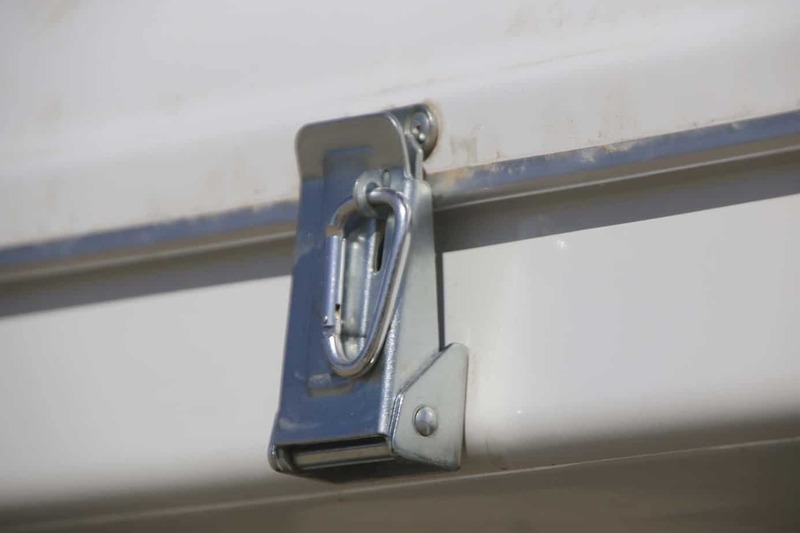 I highly advise securing the latch with a small carabiner. 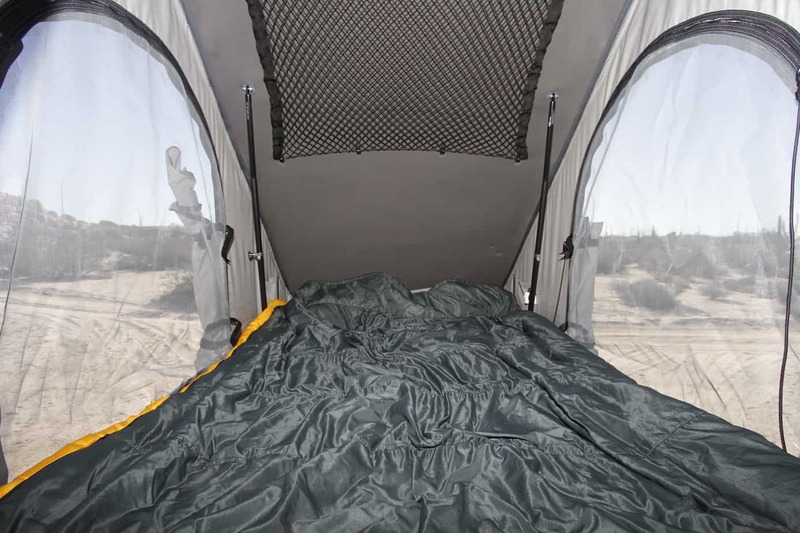 During a week in Moab, Utah, bouncing around at the Easter Jeep Safari, the latch released and the gas shocks opened the tent up while I was driving. You also need to know the exact overall height. I lightly scraped the top in a parking garage at the Russian consulate in San Francisco and had to air down the tires to avoid damage. 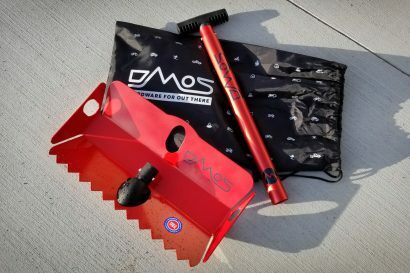 Chris spent his formative years riding dirt bikes with his dad in the deserts of Southern California and Baja, Mexico, which led to a lifelong quest for adventure. He is handy behind a viewfinder and at the keyboard, and brings four decades of international travel experience to Overland Journal as Editor-in-Chief. His career, which includes work for National Geographic Adventure, Four Wheeler, Hot Rod, and Autoweek, has taken him through 50-plus countries and to every continent. He has also served as correspondent to magazines in a dozen countries and in as many languages. In 2013 he was part of the Expeditions7 team that crossed Antarctica and he has recently been inducted into the Off-Road Motorsports Hall of Fame as a pioneering journalist. When not behind the camera Chris can be found on The Office (his sailboat), or undertaking meticulous “research” for upcoming articles in locales such as Tequila, Mexico.